Roque was thought dead in his hometown. He was worshiped as a saint. But now he's back. How is he going to explain this to them? A short tempered, feminist rich woman notable for her aversion to marriage and her aggressive behavior gradually falls in love for a rough and lowly farmer. A series of short comedy films. My goodness! Where are the impressions now? ESCRAVA ISAURA, except for some American sagas of the time (the mid-1980s), was one of those soap operas that absorbed almost all Polish society. Being showed on public television (no other existed) once a week, the series constituted the oasis of freshness in the desert of Russian propaganda. But that was not the only reason we still consider this soap opera a true social phenomenon. Why "phenomenon" in Poland? The story of a poor girl who lived the life of a slave in Pre-abolitionist Brazil touched to tears, mesmerized, overwhelmed, simply taught how to live and how to deal with cruelty. 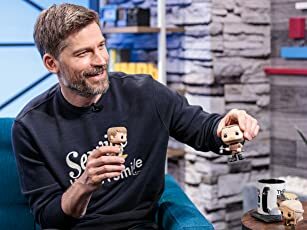 People, including youngsters, families and elderly ladies watched the episodes with greatest attention and talked about it through weeks wondering and suggesting what would happen in next episodes. The emotional debates were heard in buses, trains and streets alike, young mothers named their baby daughters Isaura, crowds of fans flocked to meet the couple Lucelia Santos and Rubens De Falco during their "Polish tour" in May 1985...simply you could reasonably call it "madness" or more gently a "exaggeration". But no one would listen to this voice of reason. Those were the crazy days of the mid-1980s... However, when one of the televisions re-released the series twenty years later, a few people got interested to see what is so special about the story that absorbed the society in the 1980s. I was one of those people despite the fact I don't fancy such sagas whatsoever. After seeing the fragments of the soap opera, I came into conclusion that there are three aspects that might have made the series so popular: genuine performances, nicely executed content and...its exotic origin. Brazil is still one of those most exotic countries for Poland and truly one of the places that is in particular interest. And ESCRAVA ISAURA gives us an insight into Brazil, the Brazil of cruel times of slavery but, at the same time, the one of traditional life untouched by commercialism. As far as performances are concerned, the actress who gives a fresh, genuine acting uninfluenced by any fame is Lucelia Santos. She makes her character easy to sympathize with; more to say, a character to identify with. 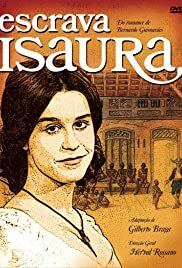 Ms Santos appeared in some other Brazilian soap operas later, but indeed the role of Isaura is the one of hers and for her: innocence, fresh youth and genuine suffering! Rubens De Falco does a splendid job as the villain Leoncio De Almeida who constitutes the idea of character development expressed in soap operas: not much psychology, no ambiguity...instead just simple representation of black and white nature of humans - either good or evil (in more colloquial language such "goodies" and "baddies"). That is why majority of people loved it since the characters were simple to evaluate. That is what makes us detest Leoncio the moment we see him. That refers also to supporting cast who do fine jobs in their roles and situations galore but whose characters are also unambiguous. And, finally the content filled with plotting, love affairs, cruelty, jealousy, pardoning, variety of spiritual and mental states...that is something people know and experience daily, that is something that can be convincing and, at the same time, particularly involving. You will perhaps think why my comment is more a reflection of why the series was so popular rather than about my own feelings concerning it. Here individual feelings are not that crucial since the personal whisper is bound to give way to common shout. ESCRAVA ISAURA, being a soap opera, is a special one, a phenomenon of popularity that has never appeared again to such extend.